Ranked No. 22 on the American Film Institute’s “Greatest American Movies of All Time,” Stanley Kubrick’s 2001: A Space Odyssey (1968) is not only an Oscar-winner but a movie that paved the way for other classic sci-fi films such as Star Wars, Alien, and Blade Runner. 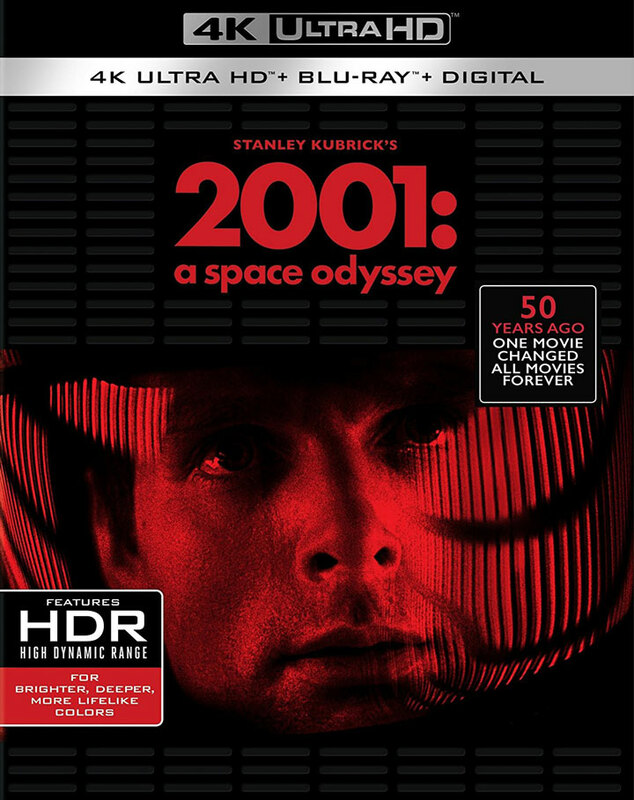 So far, the best we’ve been able to see 2001: A Space Odyssey at home is in 1080p (unless you were lucky enough or old enough to see the film on the big screen), but soon 4k TV owners will be able to watch it in 2160p with four-times the pixel resolution. And, with HDR the color depth has been increased from a maximum of 8 bits to 10 bits. Like other Warner Bros. 4k titles we expect the High Dynamic Range to be via HDR10 (confirmed by the released packaging), but also wondering if the newer HDR10+ spec might be incorporated into the release, allowing more dynamic application of the metadata throughout the video stream. We don’t have specs on the audio yet, but will have to wait and see if anything changes from the uncompressed LPCM 5.1 soundtrack provided in the 2007 Blu-ray release. Other films from AFI’s top movie list that have already been released to Ultra HD Blu-ray include The Bridge on the River Kwai (1957), Close Encounters of the Third Kind (1977) and E.T. The Extra-Terrestrial (1982). Here’s hoping a 4k print of Star Wars (1977) is on the way. Next Next post: What Channels Can You Get on Fire TV & Fire TV Stick?